Are you considering taking the CEH exam? EC-Council’s Certified Ethical Hacking (CEH) certification is designed for skilled professionals who want to understand how to find weaknesses and vulnerabilities in target systems. 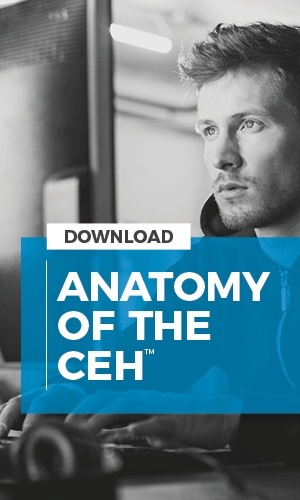 The Anatomy of the CEH exam download dives into the CEH exam structure, content, application process, and general reasons as to why you should consider earning this in-demand cert. To download this resource, simply provide your information in the form on this page and a link to the document will be sent directly to your inbox.